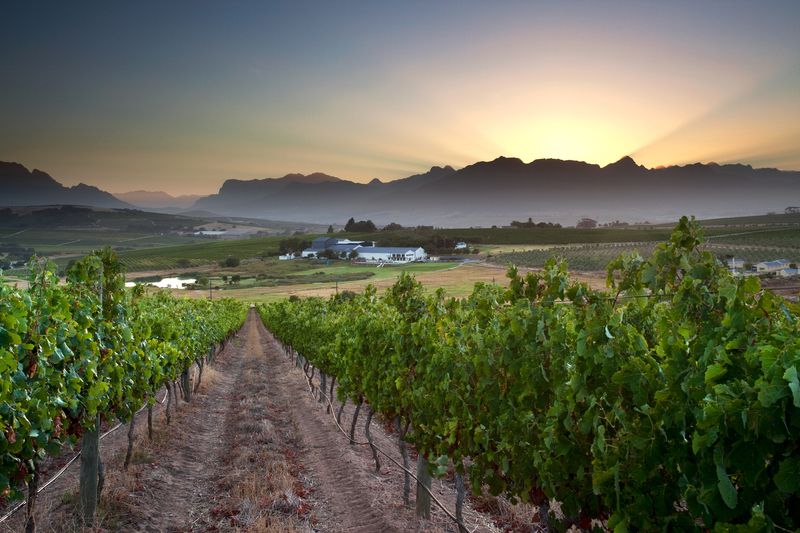 Both a designated coastal wine region and historical centre, the vibrant town of Stellenbosch lies 50km inland of Cape Town in South Africa’s Western Cape. Three centuries on in time and toil from the first planting of grapevine by Dutch and Huguenot settlers in 1690 — an under-developed plot of land that local farmers had dismissed as vuilplasie (‘dirty little farm’) was gradually converted to a vineyard. 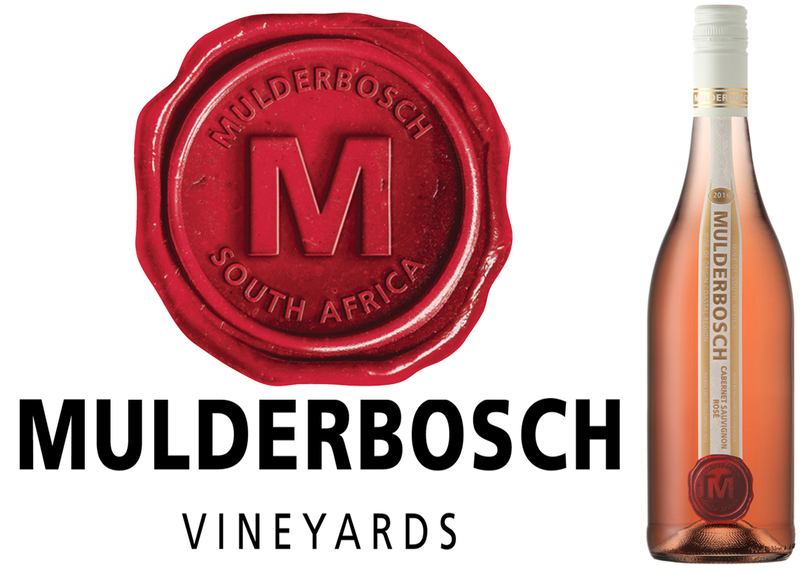 Launching with a fledgling vintage of white wine in 1992, the ever-evolving Mulderbosch winery has seen a number of development phases, both in its properties and wine crafting talent. 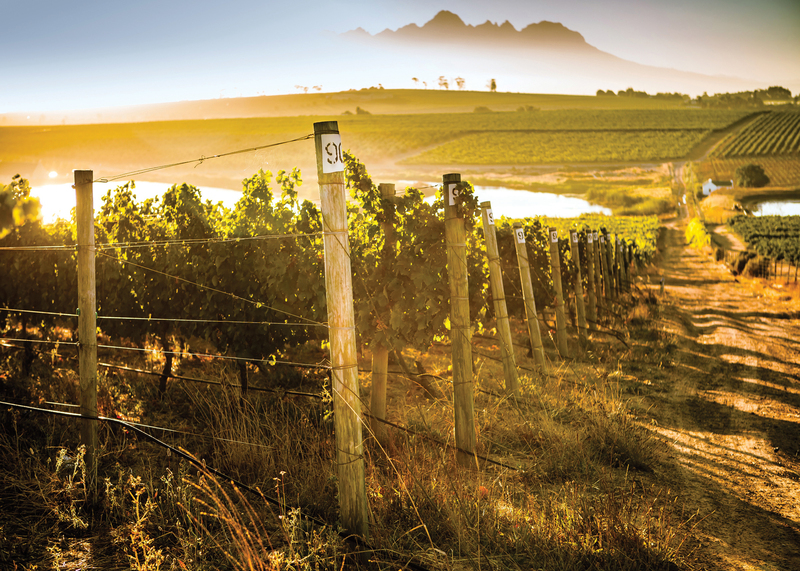 Now under Adam Mason’s winemaking guidance, it continues to contribute to South Africa’s revival as a reliable source of very affordable, terroir-distinctive wine. This week’s DéClassé featured varietal Rosé is made from the so-called Don of red wine grapes, Cabernet Sauvignon. 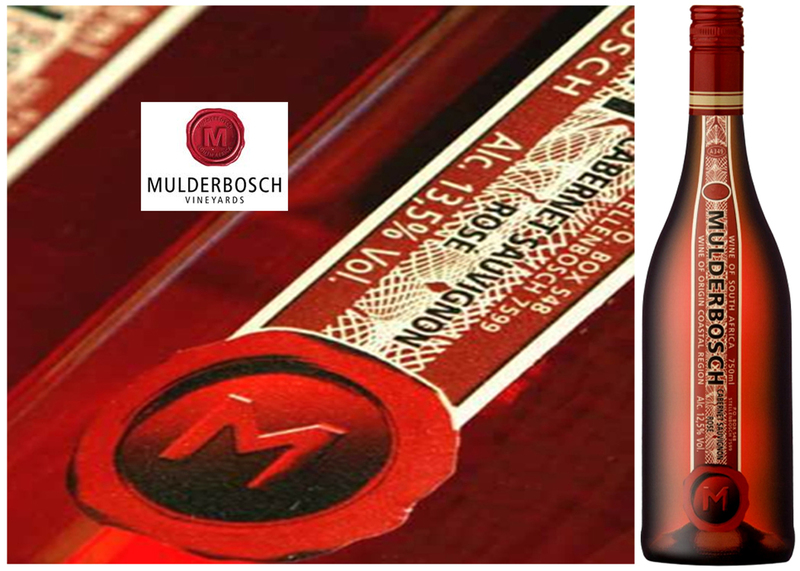 With distinctively compact blackberries and a thick-skin, Mulderbosch harvests these somewhat earlier than if it were destined to be fully finished as red wine. This particular practice of fashioning Rosé yields naturally higher levels of acidity, minerality, and brightness to the bottled aromas of the fruit. Exploiting a local geographic advantage, their vines are planted in well-drained valley terrain below the Cape Fold mountain range, where the surrounding hills funnel cooling breezes into the vineyard; helping attenuate the grape-wilting heat of South African summers. A great deal of investment by the vintner has been directed into this attractively priced and unique bottling–and that should translate into you picking up at least 3 (or 4)! This is a dry, medium-bodied Rosé that’s full of refreshing lip-smacking acidity. With cherry, ripe strawberry and pomegranate flavours, serve this well-chilled to preserve its crispness. Substantial on its own as an apéritif or along with summer citrus-laced salads, Thai spring rolls, sushi or asparagus Quiche. 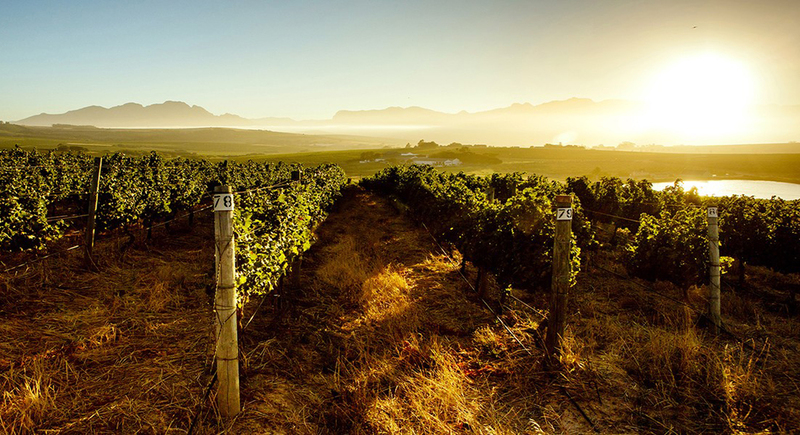 Both a designated coastal wine region and historical centre, the dynamic town of Stellenbosch lies 50km inland of Cape Town in South Africa’s Western Cape province. Three centuries on in time and toil from the first planting of grapevine by Dutch and Huguenot settlers in 1690 — an under-developed plot of land that local farmers had dismissed as vuilplasie (‘dirty little farm’) was gradually converted into a vineyard. 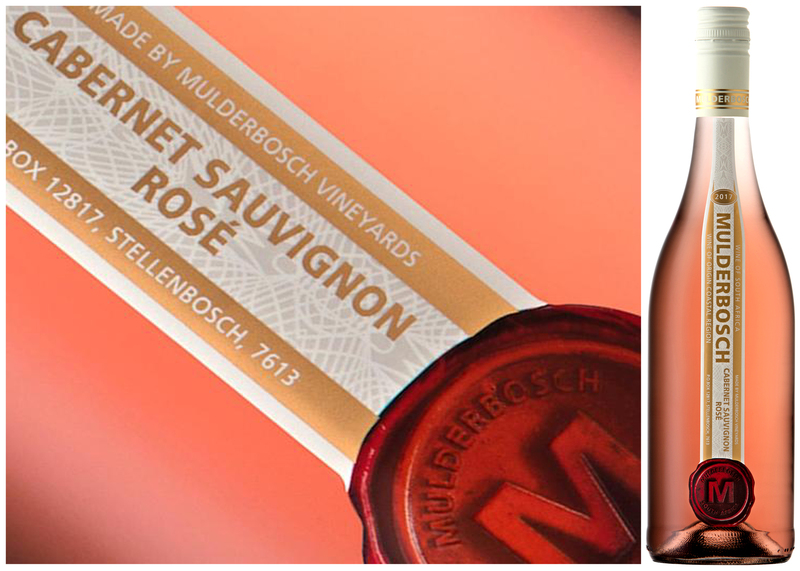 Launched with a fledgeling white wine vintage in 1992, the ever-evolving Mulderbosch winery has seen a number of development phases, both in its properties and its wine crafting talent. Star vintner Mike Dubrovnic led the enterprise through a period of expanded profile, and now under Adam Mason’s creative winemaking guidance, it continues to contribute to South Africa’s revival as a reliable source of very affordable, accomplished and terroir-distinctive wines. 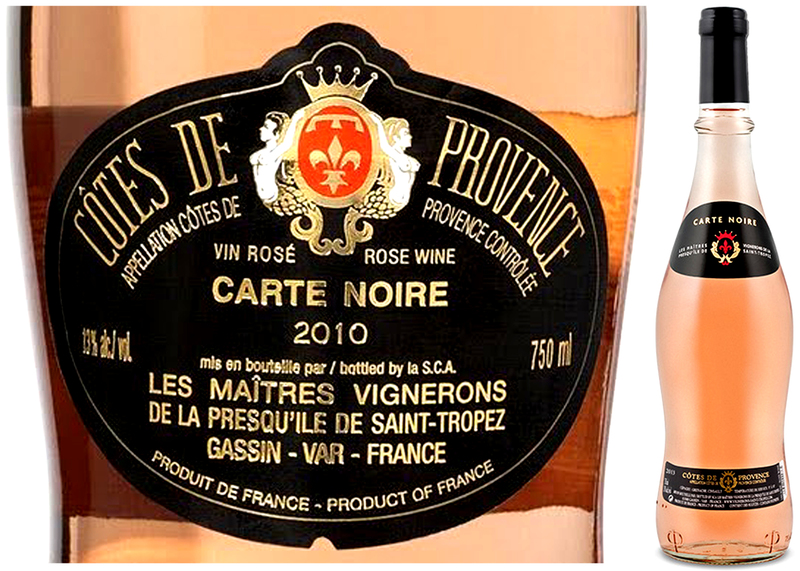 This week’s DéClassé featured varietal Rosé is made from the so-called Don of red wine grapes, Cabernet Sauvignon. 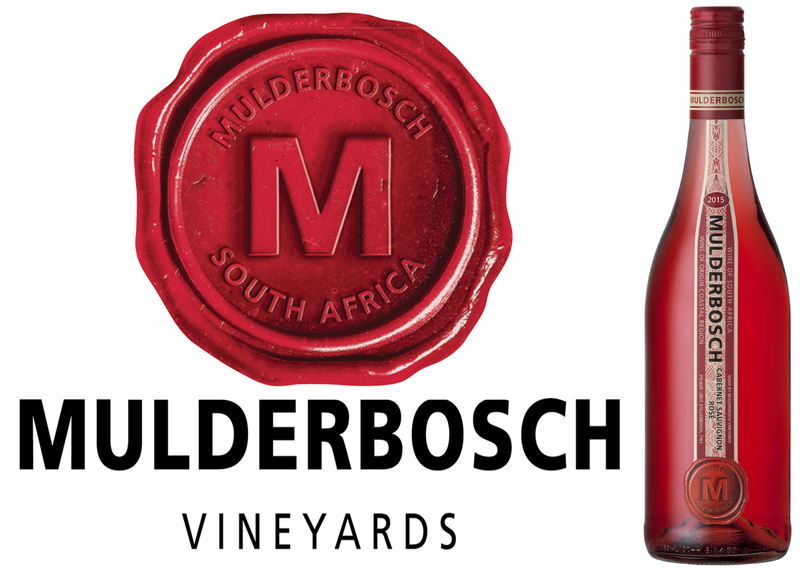 With distinctively compact blackberries and a thick-skin, Mulderbosch harvests these somewhat earlier than if it were destined to be finished as a full red wine. This particular practice of fashioning Rosé yields naturally higher levels of acidity, minerality, and brightness to the bottled aromas of the fruit. Exploiting a local geographic advantage, their vines are planted in well-drained, valley terrain below the Cape Fold mountain range. 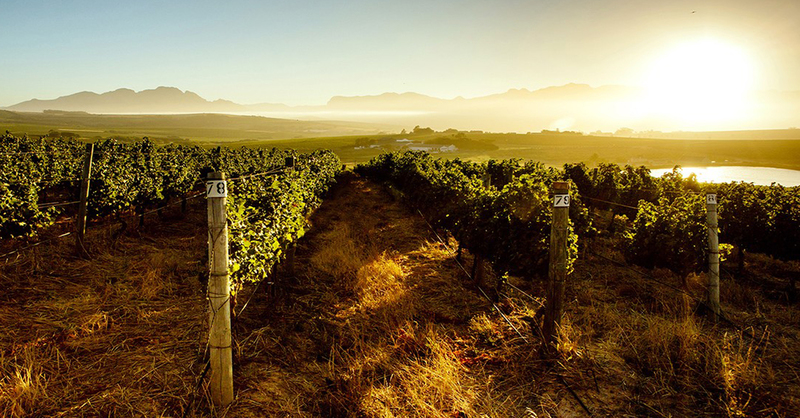 The surrounding hills also act as a funnel, directing cooling breezes into the vineyard rows; a critical benefit that counteracts the grape-wilting heat of South African summers. This impressive 78-hectare farm has come a long way in a quarter century. Along with attaining critical and commercial success, the eco-friendly farming strategies that they’re employing qualify it as Certified Sustainable. Moreover, sections of the property have been dedicated to a conservancy that includes the rehabilitation of wetlands; better ensuring that the biodiversity of indigenous vegetation and wildlife will continue to thrive. Local rumour has it that, once upon a time, only Mozart was played in the cellar during the cool fermentation processing of the grapes; perhaps imparting some layered finesse and playful sophistication into the developing wine? True or not, a great deal of investment by the vintner has been directed into this attractively priced, and unique bottling – that should translate into you picking up at least 3! This is a dry, medium-bodied Rosé that’s full of delightful lip-smacking acidity. With cherry, ripe strawberry and pomegranate flavours, serve this well-chilled to preserve its crispness. Substantial on its own as an apéritif or along with summer citrus-laced salads, Thai spring rolls, sushi or an asparagus quiche. Two and a half millennia’s worth of experiment and refinement in viniculture, give or take a few centuries, surely demonstrates a commitment to getting it right. In these ancient vineyards, dotted among the tumbling limestone bluffs and some still-wild scrubland, a colourful panoply of migrant tribes, religious monk orders, dukedoms, kingdoms, and empires have introduced new varieties of grapevine; adapting them as regional cultivars and a diversity of styles. In antiquity, Greek settlers farmed the maritime landscape for 500 years before Caesar strode ashore triumphantly at Marseilles in 49BC. The subsequent occupation would endure for four centuries and provide Provence its modern name; derived from its long-held Latin title Provincia Romana. With the sudden demise of the Western Roman Empire, a succession of Ostrogoths, Visigoths, and Germanic Burgondes took turns making their preferred wines before being absorbed into the Kingdom of the Franks in the 8th century. Invasion by North African Berbers, then the rising of Charlemagne’s Carolingian Empire, was followed by a litany of other feudal Frankish or Italianate kingdoms, and so it continued throughout the Crusades and Medieval Periods–up until 1481 when Louis XI firmly embraced Provence as a unique territory in the France we know today. 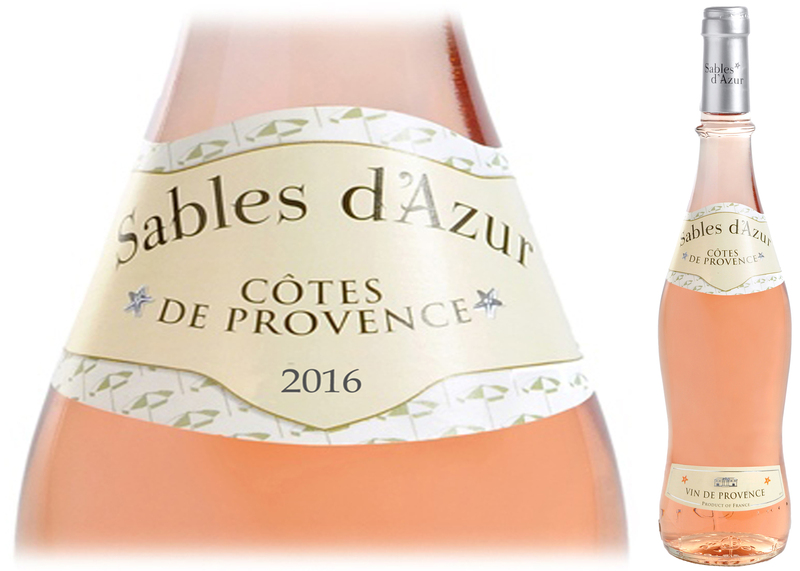 Somewhere along the historical way, Provençal winemakers finally settled on the challenges and rewards of becoming the global gold standard for the fashioning of Rosé. 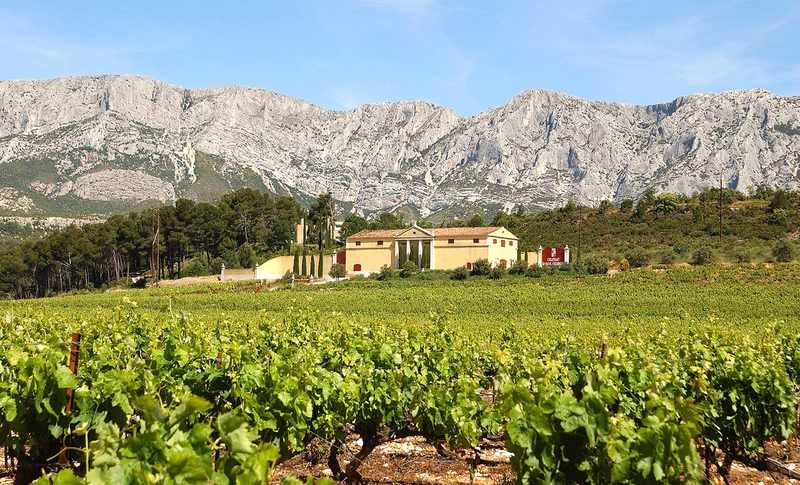 When cultivating grapes, especially Grenache, Syrah, and Cinsault, it’s a blessing in the Côtes de Provence AOP to see 300 days of yearly sunshine; ensuring that the fruit will have reached peak maturity by harvest time. If you’re a local vintner working to fashion crisp and refreshing wines from these relatively robust varieties, then it’s also beneficial for the vines to experience a significant cooling-off in the evening as a respite from the stressful, daytime heat. If you’re a painter, then the vista of the Arc Valley, framed by mountains and low-lying hills on 3 sides might be as inspiring as it was to Cezanne in his landscape composition, Mont Sainte-Victoire and the Viaduct of the Arc River Valley. 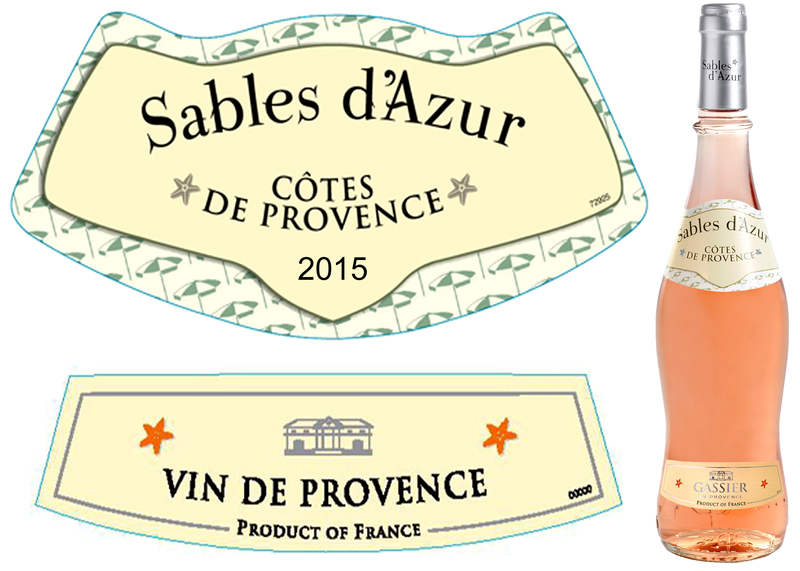 centuries, fashioning Rosé has now become the primary focus and distinction. this highly successful, cooperative umbrella. of the South of France and graces the best-laid tables; soon, perhaps yours also! ratatouille, Nicoise salad, squash gratin or herbed, grilled fish and chicken. a number of development phases of both its properties and wine crafting talent. reliable source of very affordable, terroir-distinctive, world-class wine. the resulting breezes guard against the potentially, grape-wilting summer heat. This very dynamic 78-hectare farm has come a long way in a quarter century. wildlife will also continue to thrive. bottling, which should translate into you thinking of picking up at least 3! spring rolls, sushi or quiche.